Autumn’s most celebrated harvest festival is only a few hours away and I'm sure you have all made the appropriate arrangements for a gathering. You have probably invited dear friends and relations, made elaborate plans for a hearty dinner and even learned a couple of new recipes to surprise your guests, however… did you finalise decking up your dining room and table? Well it's not too late! For last minute tips and decoration ideas this Thanksgiving, we have come up with an Ideabook that will surely inspire you and help you make the right decorating decisions. I assure you, none of these are going to burn a hole in your pocket and you will definitely see the results of the makeover fast. Besides, when your loved ones will congratulate you for such ingenuous ideas you will have additional reasons to secretly pat your back for all the hard work you have done. Choose a colour scheme that is warm and vibrates with the spirits and atmosphere of the day. You will want to make your guests feel the festive vibes the moment they step into your dining area. For that extra step, you can upholster the chairs in fall colours to tie in well with your theme. This also works particularly well if your dining room thrives in white or muted tones. - switch the cushions or change their covers to colourful and very detailed designs. - install a lamp with matching shades at the corner of the room and if all else fails, consider changing the rug in a much brighter tone. 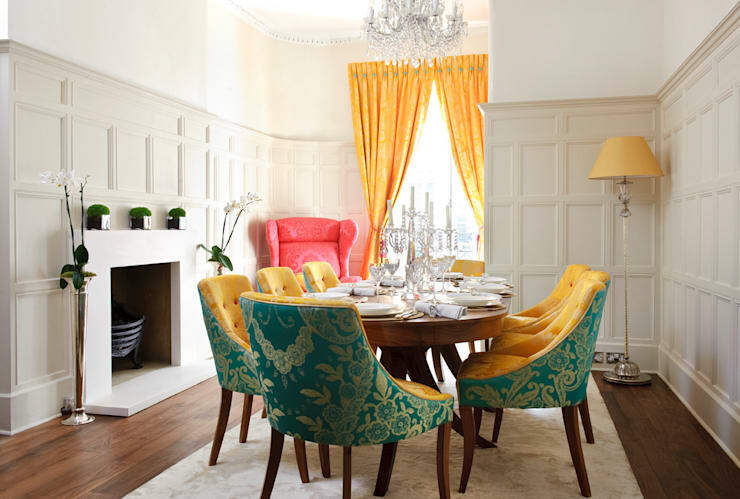 With all these tips, y our dining room should resonate with the joyful spirit of the moment. The ambience of any of your rooms depends heavily on how you embellish your walls. If you have already given it a makeover with an extra coat of paint or covered it with wallpapers in animated designs then all the better. If not, then also you need not tear your hair over this. For we will use plants, flowers and leaves from your own backyard to deck up your walls. If you have lightweight pots, suitable for hanging from the walls or ceiling, then use those to have fragrant herbs and seasonal flowers in the dining room. Otherwise, convert your magazine rack to a temporary wall installation. Deck it up with fern, flowers and other plants from your garden. Unless specifically preserved for the occasion, don’t use withered leaves and twigs for any festive occasion. It tends to give away negative energy in closed spaces. Prominent landscape, paintings of large bouquets and fruits like the erstwhile Dutch masters can work wonders in any dining space. If you cannot afford the originals why not use your photography skills to create something similar to it? This Thanksgiving bring out your most colourful crockery, the brighter the better. This will introduce an element of surprise from the traditional crystal dinnerware you are using for years. 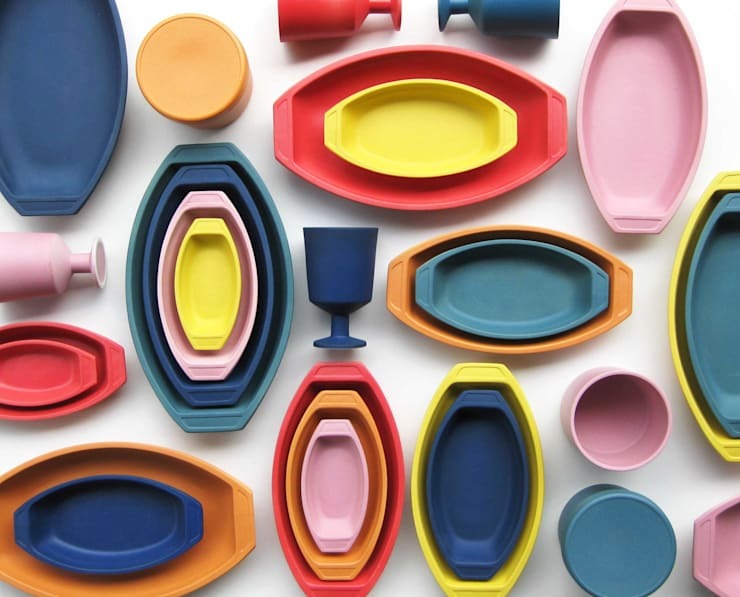 Dinner sets in bold colours, floral patterns or slightly cheeky motifs will all work well on occasions such as these. Just be sure that you are not offending anyone if you are selecting the last option. The set on display is designed by Maruhiro Inc. It uses almost all the available shades of a spectrum without making it look shabby in any way. Rustic wood and earthen dinnerware also looks stunning and feels appropriate with the spirits of Thanksgiving. Do not forget bringing out that unusually shaped cheeseboard, salt and pepper shakers of yours to place them on your table. Use these ideas to effortlessly beautify your table. Utilise small sculptures, artificial fruits – real ones could be gobbled up easily leaving you with a barely decorated table, flowers and potted plants to embellish it. Though many people prefer not using scented plants on the dinner table for a fear of clashes with food flavours, subtle scents of lavender, rosemary and geranium tend to freshen up the atmosphere massively. The choice really is yours. You can also have fragrant citrus fruits, real this time, in a decorative bowl placed at the centre of the table. Flowers or colourful leaves collected from the garden can be woven into a wreath or garland and placed on the table as well. 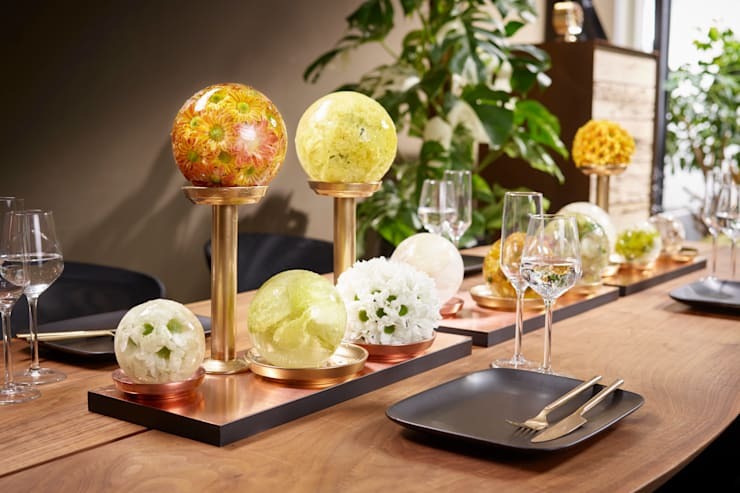 This table uses a variety flowers in glass globes to embellish the centre stage of a dining table. If you still retain some of the old handcrafted artifacts in your nostalgia cabinet, then you may think of placing one of two of them on your dining table. No table décor can be complete without due consideration for table linen, runners and placeholder mats. If your table is a rustic looking one do not cover it with a table cloth. Use only suitable runner and placeholder mats instead. 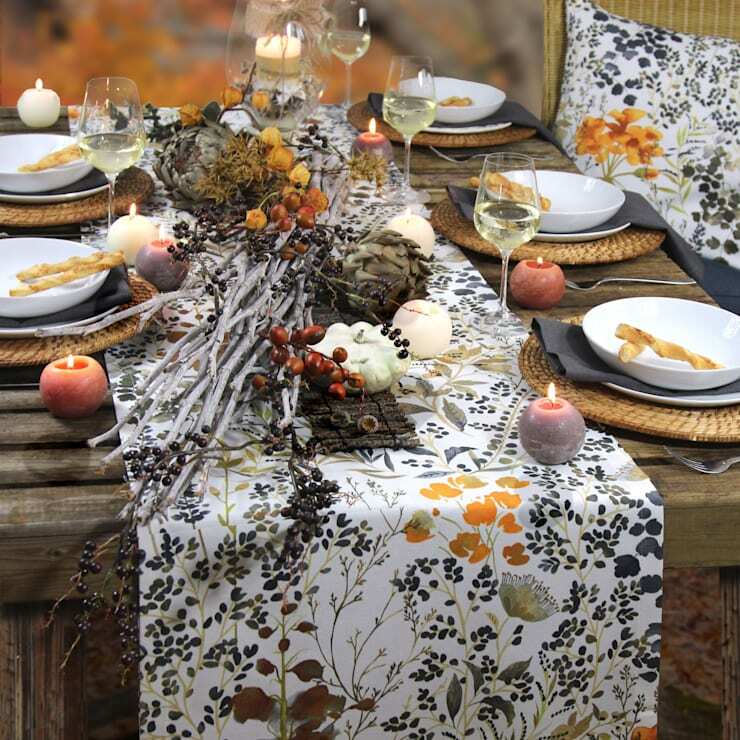 Subtle floral patterns, busy embroideries or cheerful geometric shapes all work well for Thanksgiving. Use mats in complementary colours. Those with a knack of knitting and weaving can create their own DIY mats in elaborate patterns. These will be considered as novelties on any table. Painted water resistant canvas and thin wood boards in irregular shapes also look lovely, especially if complemented with suitable dinnerware. No festive occasion could be fulfilled without an inclusion of an age old favourite – candles. 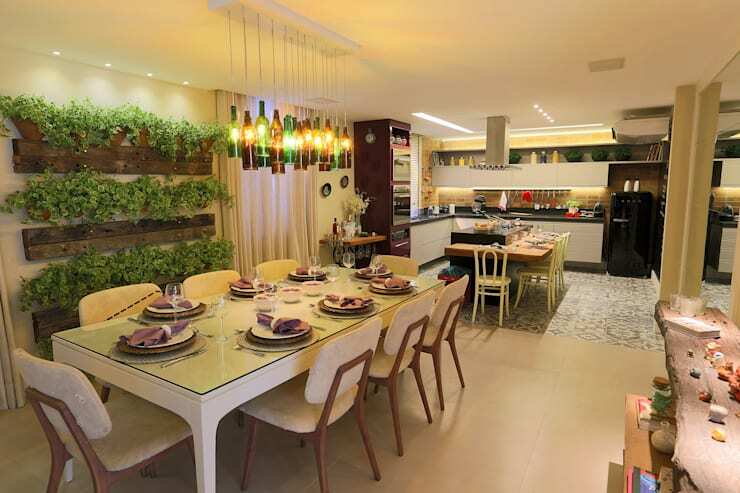 Even when your dining area does not have any dearth of artificial light, let the candles burn all evening long. Traditional pillar candles or colourful taper candles can be placed on the table, at a corner of the room or over the mantelpiece. 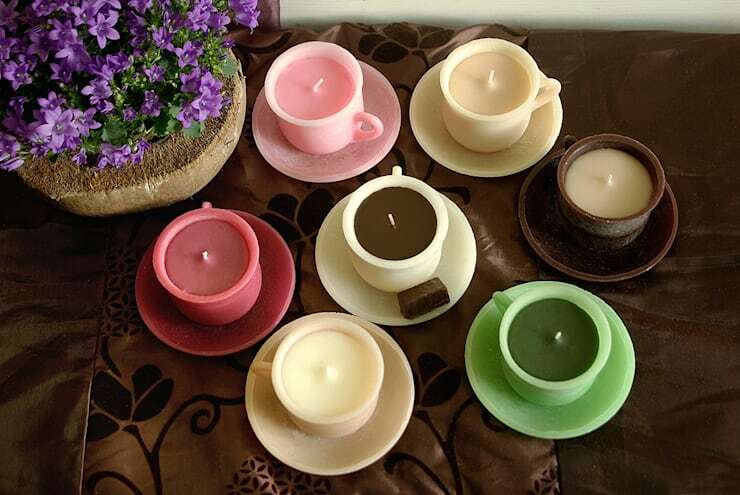 Using candles in unusual shapes like these will introduce an element of fun. Floating candles and flowers suspended in an earthen pot full of rosewater or plain water can be a nice addition as well. Remember not to hide your affable nature and wear a broad smile all day long. Though there would be much to do, but occasions such as these do not come every day. These days, opportunities of spending time with those loved ones who really care for us also come by rarely. So pay heed to poet Kahlil Gibran’s words, “Your friend is your needs answered. He is your field which you sow with love and reap with thanksgiving,” and enjoy Thanksgiving to the fullest possible extent. For ideas for creating a welcoming living room please visit here.